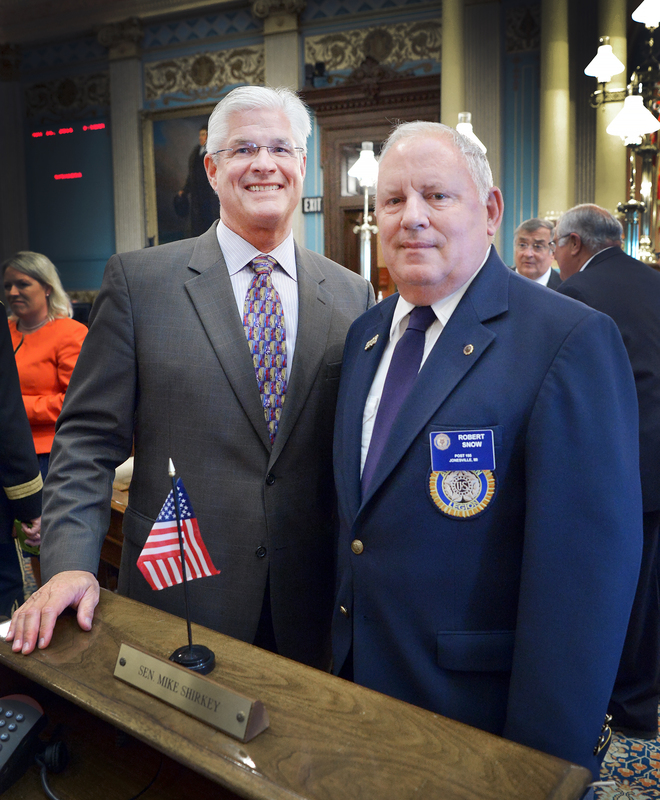 LANSING, Mich. — Sen. Mike Shirkey, R-Clarklake, and Jonesville Mayor Robert Snow paid tribute in the Senate Thursday to those who gave their lives defending our country. Snow was Shirkey’s guest for the Michigan Senate’s 22nd Annual Memorial Day Service. Each year, the ceremony honors the servicemen who fought with bravery to defend our nation’s freedom. Snow is a commander of the American Legion and served in the United States Army from 1965 to 1967. Note: Click the image for a print-quality version. This photo and others are also available by clicking Photowire.